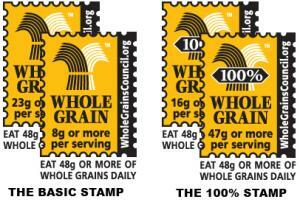 Are you confused about the difference between whole grains and simple or refined grains? Not sure how to tell if something is whole grain? You’re not alone! Click through for a quick explanation of why WHOLE grains are so important to your HEALTH as well as a list of some of the more common & REALISTIC grains available. You’ll also find a recipe for one of my favorite, super SIMPLE, extremely versatile whole grains! Whole grain simply means that all three parts of the grain were kept. Whole wheat flour consists of the wheat bran, germ, & endosperm ground up into flour. Simple, or refined grains, are grains where the bran and the germ have been removed and only the starchy endosperm remains, such as in white flour. Whole grain foods break down much more slowly in your system as compared to refined grains. This means you’ll have a steady source of energy for several hours after eating whole grains. Also, you will have less of an insulin response, helping to protect you rom Type 2 Diabetes. Whole grains have many other health benefits as well. They are high in phytochemicals and antioxidants. They also contain fiber, iron, vitamin E, and magnesium. People who consume primarily whole grains as opposed to refined or processed grains tend to have lower obesity rates, and a reduced risk of developing cancer, cardiovascular disease, diabetes high blood pressure, and even gum disease! Convinced that whole grains are important yet? So now the question is how can I know if I’m eating whole grains? The answer is simple – READ THE LABEL! These food items are common whole grains. Most of them are readily available in their original form and are commonly eaten that way, but you can also check the ingredients list to see if what you are buying contains any of them. You can also look for this label created by the Whole Grain Council to help consumers better understand how much whole grain is in the foods they purchase. They also have a much more comprehensive list of whole grain foods to be on the look out for in the ingredients list on the back of packaged foods. And Now A Recipe for BASIC QUINOA! Quinoa is my absolute favorite whole grain. Place butter in a deep skillet (that has a snug fitting lid) over medium high heat. When butter is melted, add dry quinoa and allow to toast for 5 minutes, stirring constantly. Add the chicken stock, salt & pepper and allow to just come to a boil. Cover, reduce heat to medium low, and allow to cook for 15 minutes, stirring once or twice. If after, 15 minutes there is still chicken stock in the pan continue to cook uncovered a few more minutes until all of the liquid is absorbed or evaporated. Fluff with a fork and use as a base for other recipes or on its own. My favorite ways to enjoy quinoa is in place of the rice in red beans & rice or at breakfast with a splash of coconut milk and some blueberries. However you enjoy it, you can’t go wrong! 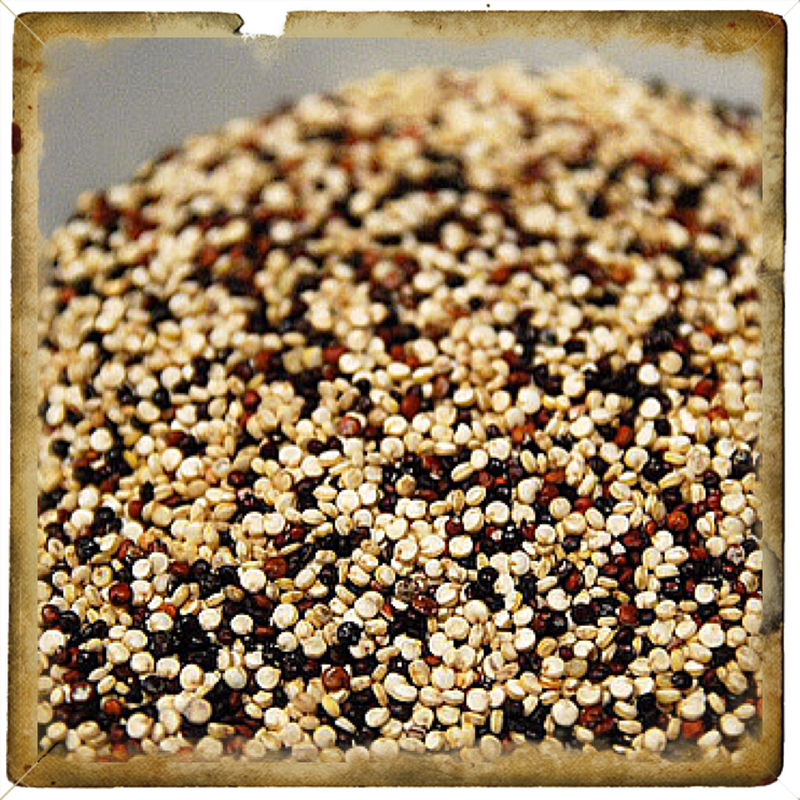 Quinoa is not only delicious but it is high in protein and it contains calcium, iron, magnesium, and the B vitamin folate.